Some of our ever-popular exhibits are the matchstick models built and loaned by Peter Marshall. The model above is of the Bass No.9 loco with the Directors’ Coach, the real version is in the National Brewery Centre, Burton-upon-Trent. In addition to the models loaned to our museum, the owner has other models which we may also loan at some future date. 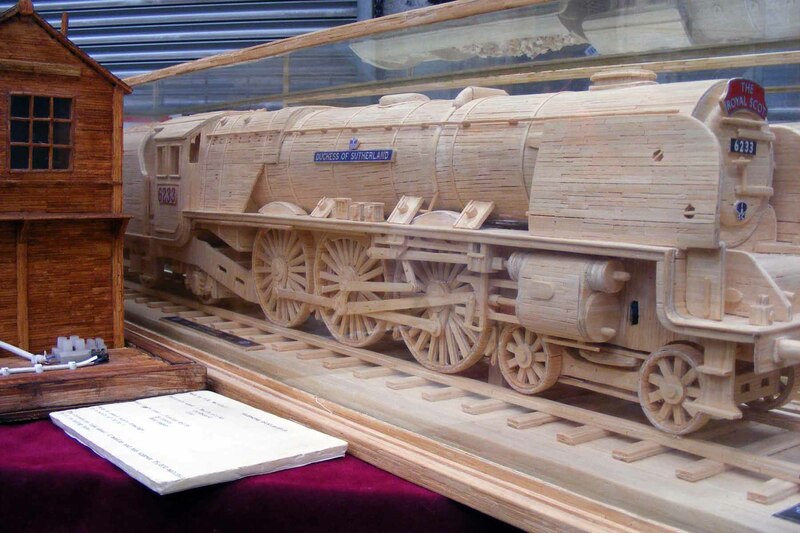 To give some indication of the work involved, below is a photo of the model of the ‘Duchess of Sutherland’ which is 48 inches long and contains 35,000 matches! Royal Scot – now running again. The last three photos are of Peter’s later models, when he started using cardboard instead of matchsticks! They are amazing! The models in the museum are the Bass loco and coach, the Jinty and the coal wagon. As a matter of interest, the frames of the cases are also made from matchsticks. 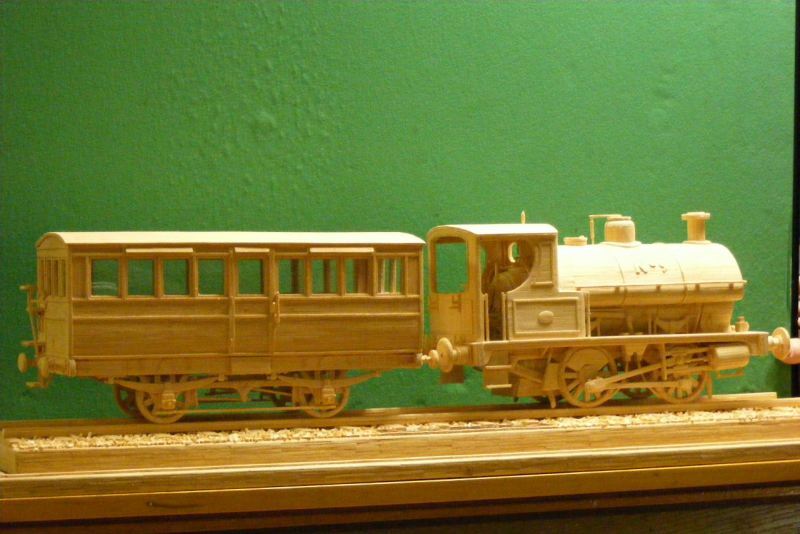 This entry was posted in Museum Exhibits and tagged Aldridge, Bloxwich, Brownhills, Burntwood, Cannock, Cannock Wood, Chasewater Railway Museum, Cheslyn Hay, Great Wyrley, Hazel Slade, Heath Hayes, Hednesford, Lichfield, Matchstick Models, Norton Canes, Pelsall, Staffordshire, Walsall, Walsall Wood. Bookmark the permalink.